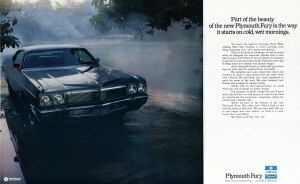 Again in 1973, the full-sized Plymouths were called the Furys. 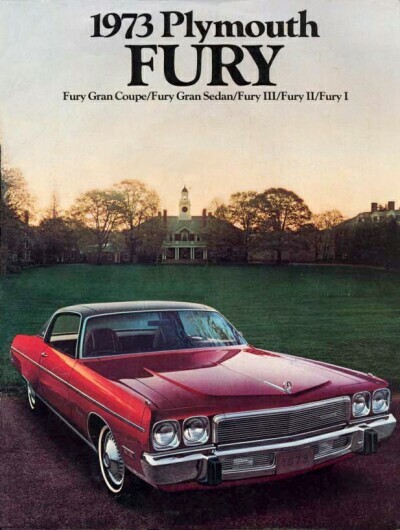 The lineup consisted of the Fury Gran Sedan and Coupe, the Fury III and the lesser Fury II and I. 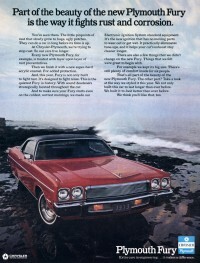 The cars came with a restyled body which still based on the first 1969 Fuselage design. The front had lost its loop-style bumper due to federally mandated impact protection standards. 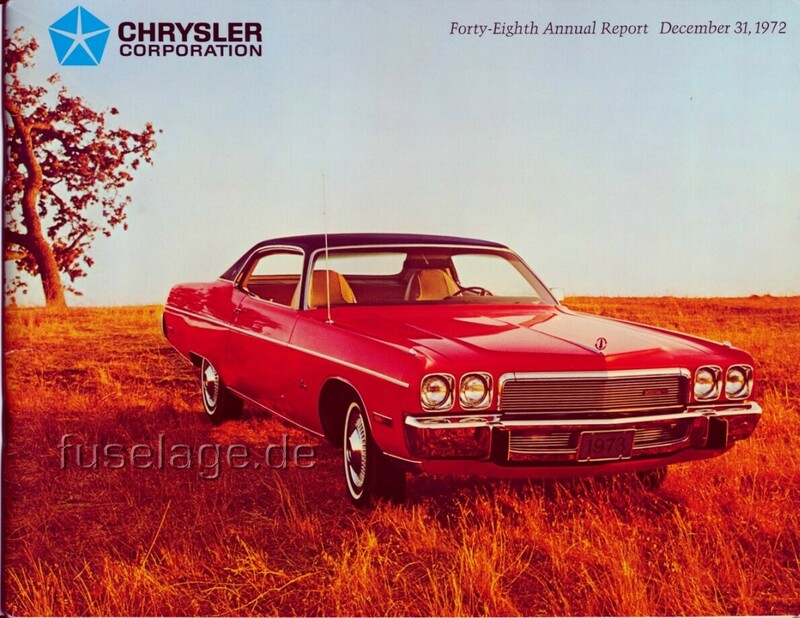 These were also responsible for the introduction of the elastomeric bumper guards that can be found on all 1973 full sized cars from Chrysler Corp. 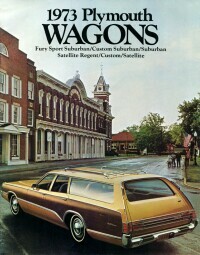 There was an extra station wagon catalog featuring the Fury Sport Suburban, Custom Suburban and Suburban. 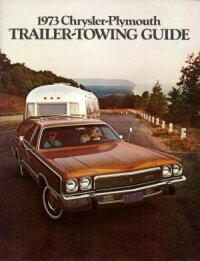 There was also a trailer towing guide for the 1973 Chrysler and Plymouth models featuring the trailer towing packages and a minimum engine size to trailer weight chart. Spring of 1973 saw the introduction of a "Gold Sticker" Special Value Fury with remarkeable upholstery. This ad toutes the new sandrad electronic ignition on all Furys, among other features. 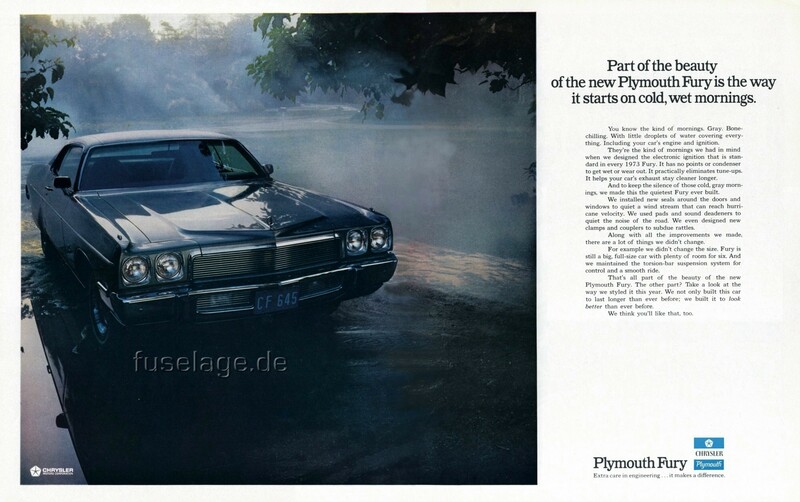 A photo of a 1973 Plymouth Gran Coupe (if not the same car found on the catalog cover) also graced the cover of the corporation's 1972 annual financial report. 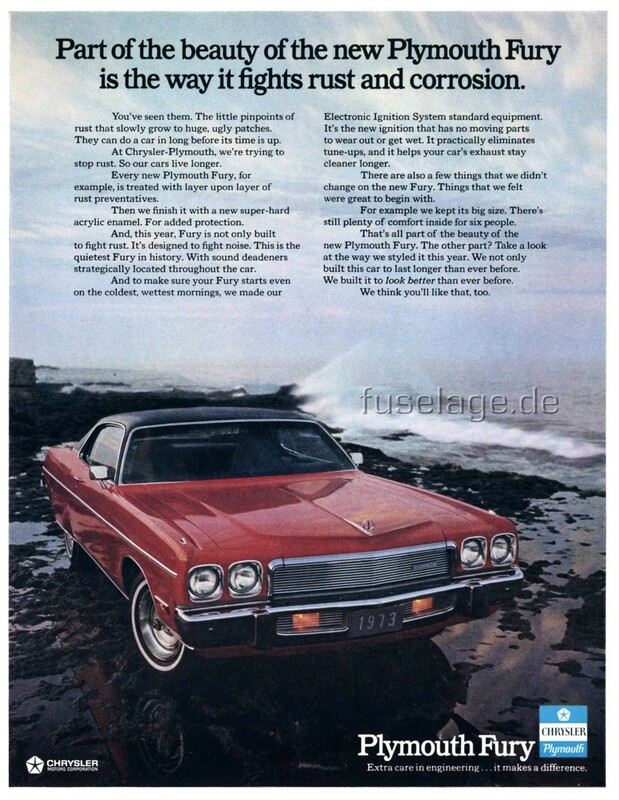 This ad explains how the 1973 Furys fight rust and noise. It also emphasizes the fact that all Furys now had electronic ignition.